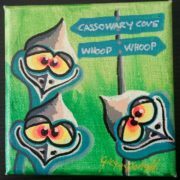 3 Cassowaries and a whoop whoop sign. 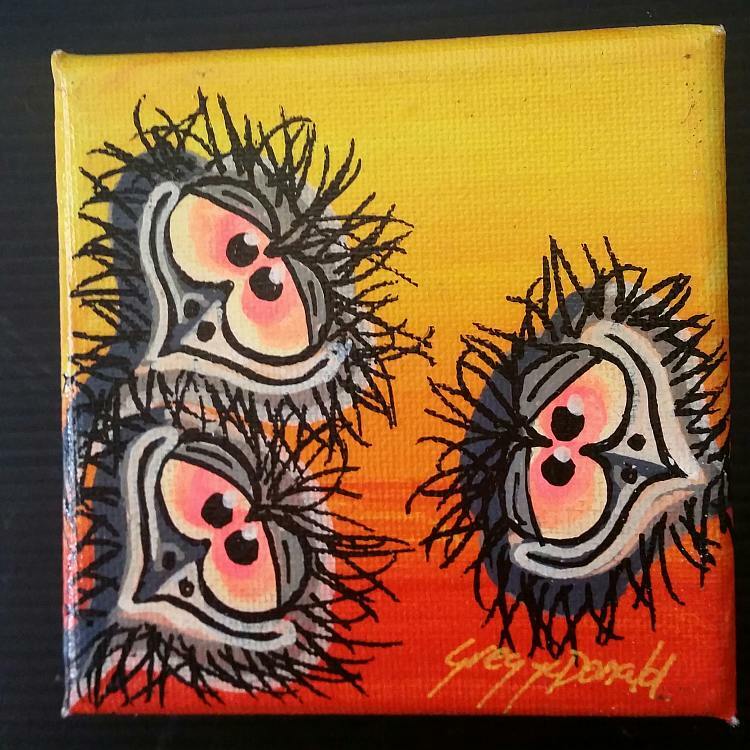 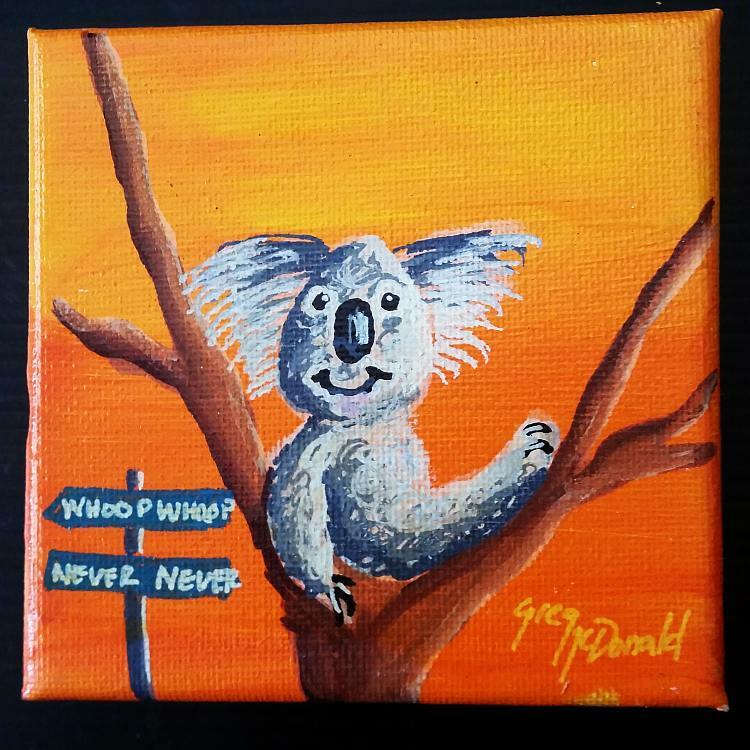 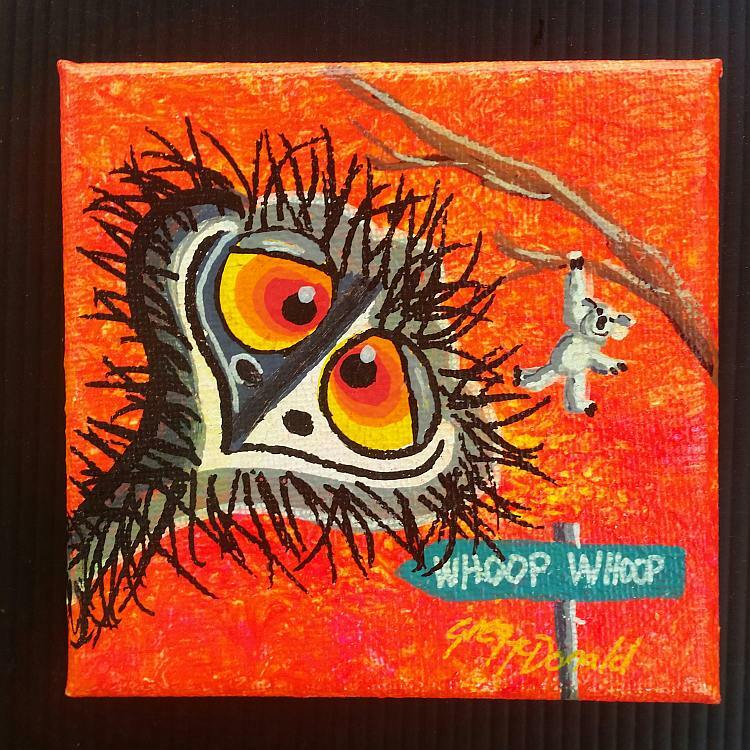 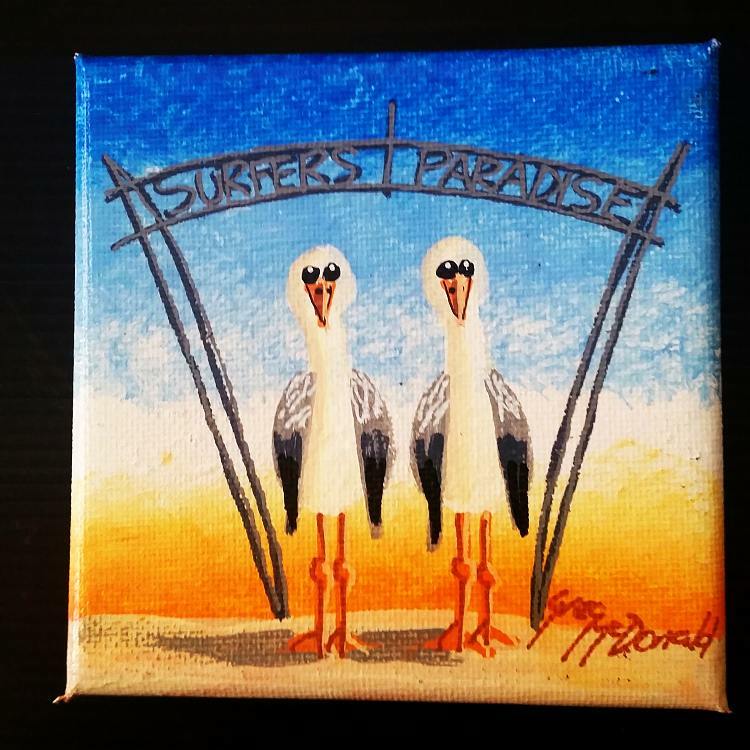 10cm x 10cm Australiana mini painting – Bright a bound to make you smile when you.look at it. 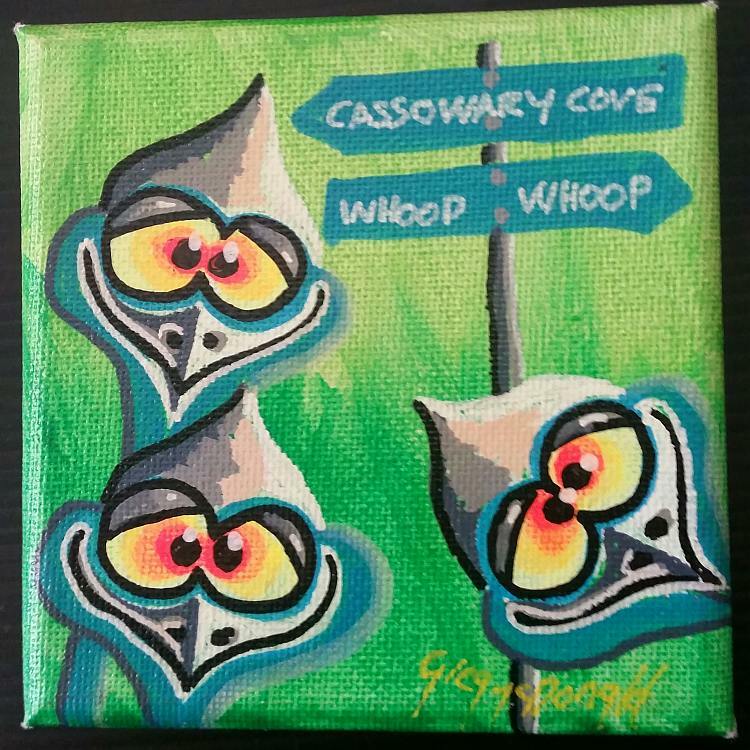 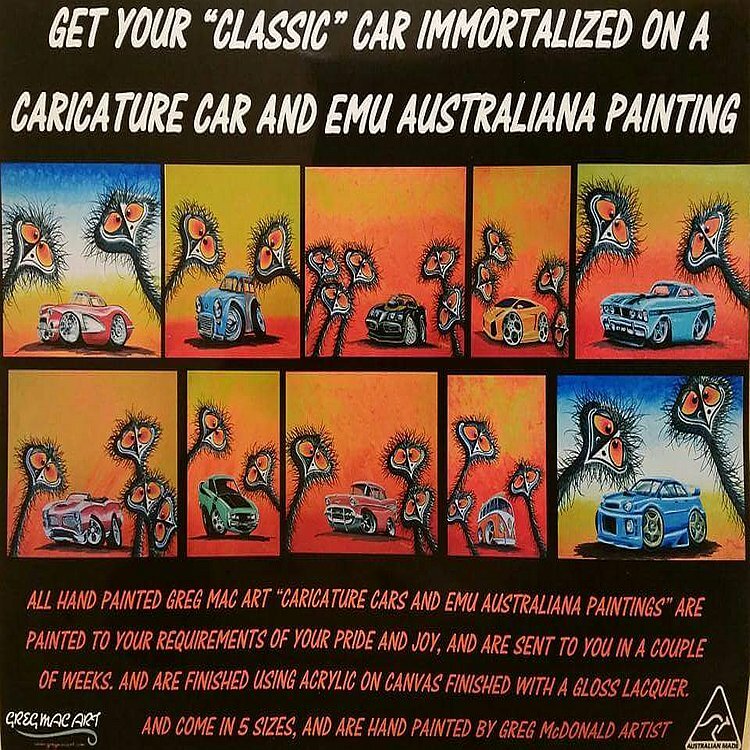 Canvas paintings for sale in Australia, Acrylic on canvas finished with a gloss laquar and magnets attached to the back of the original painting so you can attach it to your fridge. 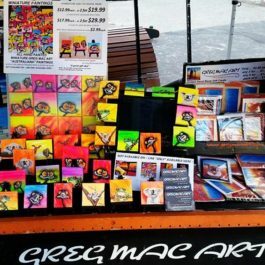 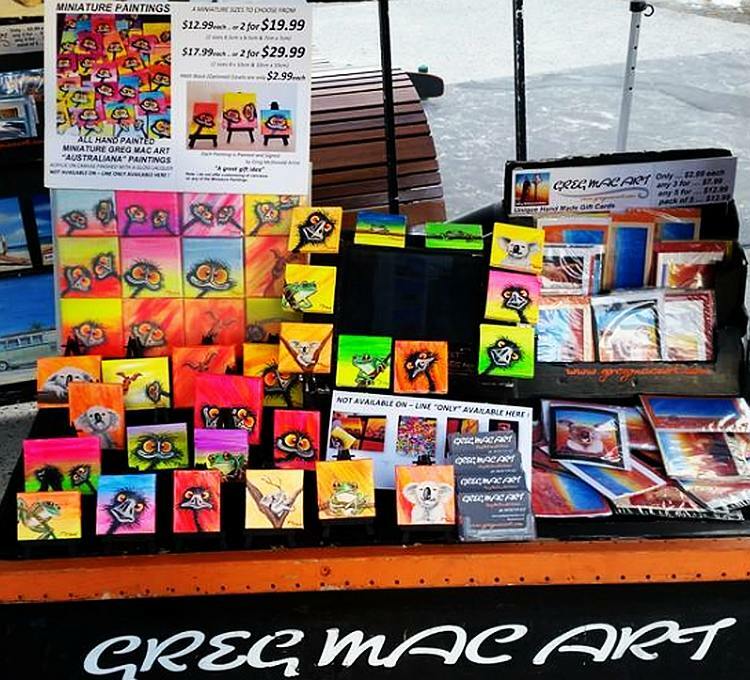 Greg McDonald - Painting from Photo on Canvas - Portraits Commissioned Art, Paintings.